"There is no doubt that solar and lunar eclipses have a direct bearing on earthquakes. despite modern gadgets and scientific knowledge at their disposal. and the time of occurrences is generally midnight or morning. On June 21, at around midday, a total eclipse of the sun will be visible in the Southern Hemisphere passing right through the heart of Zambia. The line of totality will pass within 40km of the capital Lusaka, lasting about 3 and a half minutes - making Zambia the most ideal place to observe the eclipse. 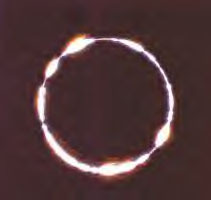 The 2001 total solar eclipse is over twice as long as the last total eclipse in 1999 at all corresponding points along the path. The path travels through Angola, reaching the western border of Zambia at 12:57 and totality lasts a maximum of 4 minutes 6 seconds. Lying about 35km south of the centre line, Lusaka enjoys a total eclipse lasting 3 minutes 14 seconds. Quickly crossing the Zambezi River, the path continues into Zimbabwe and Mozambique. A number of facts indicate that the Moon affects geophysical phenomena far beyond what would be expected from its gravitational pull. According to statistical analysis there is a lunar effect on a variety of geophysical and meteorological activity when the Moon is within 4o of the (ecliptic) plane of the Earth's orbit around the Sun. For example, between Full Moon and Last Quarter (on the morning side of the Earth), there are geomagnetic storms. The effect is known to be due to energetic particles that are precipitated into the upper atmosphere, producing electrical currents that perturb the magnetic field (i.e., electromagnetic induction). Extremes in the Moon's orbit are referred to as the lunar nodal cycle, an 18.6-year lunar cycle, which influences weather and other geophysical phenomena. This lunar cycle is apparent in atmospheric pressure, sea level, precipitation, sea-ice conditions, tidal currents, currents in submarine canyons, sea-surface temperatures, geyser eruptions, volcanic eruptions, earthquakes, thunderstorms, auroral frequency, and biological growth series, including tree-ring widths. The lunar influence is more pronounced in mid-latitudes, due to the mid-latitude Fields, and is more clearly represented in records during solar minimums when the effect is not obscured by solar activity. These correlations immediately suggest that FEM is responsible. Meanwhile, present-day, conventional theory is at a loss for an explanation: "The lunar linkage mechanism has not been established and evidently needs research." Declination and position of the furthest (apogee) and closest (perigee) approaches of the Moon display a lunar phase influence. As is typical, conventional gravitational models do not explain these effects. For example, the heaviest rainfalls of the month at stations in New Zealand, and the Spanish peninsula were correlated with lunar effects, while the magnitude rules out gravitational forces as the primary influence. Yet, the West Australian Field is near New Zealand, and the Mediterranean Field is near the Spanish peninsula. An electrostatic trigger is responsible for these lunar effects, which involves the Moon causing particle cascades along Field lines (electrostatic repulsion, bow shock, plasma torus, etc.) that ionize the atmosphere. In accord with FEM, the forcing mechanism is a time-varying balance between the Coriolis force and the tractive force of the 18.6-year lunar cycle, which reaches a maximum at the 35o latitudes. Likewise, the phases of the Moon are known to effect widespread, heavy rainfall in the United States. According to the records of 108 stations, thunderstorm occurrence east of the central United States -- the half closer to the North Atlantic Field -- is related to lunar positions for the years 1930 to 1933, and 1942 to 1965. Full Moon is the most influential, two to three days after which increased thunderstorms take place. Even the degree of cloudiness or sunshine is related to the lunar month (synodic cycle). Daily data for the period 1900 to 1980, in the United States, revealed a lunar influence (phase progression) on variations in precipitation. The Moon's revolution around the Earth, or lunar month, known as the lunar synodic period (29.531 days), and also half that period (14.765 days) were detectable. Again, the effect is not explainable by gravitational models, especially with regard to geographic region and season. The geographic effects are due to Field location and contours, and the seasonal shifts are the result of the solar-FEM linkage. The impact of these influences can be understood by this statement offered by two climatologists: "It is observed that when the maximum lunar tidal epoch is in phase with the maximum solar activity epoch, climate and economic impacts are amplified." History shows us that this is the case, and could be predicted with an understanding of the solar-lunar-FEM linkage. Are you ready for some synchronicities? The ROYAL WEDDING took place less than 24 hours before a TOTAL SOLAR ECLIPSE! Prince William was born the SAME DAY as a partial SOLAR ECLIPSE! Diana died on August 31. On Sep 1 there was a PARTIAL SOLAR ECLIPSE! Eclipses take place every six months on average, so it is not at all unusual that SOME significant event would take place on the same day or within a day or two of any particular eclipse. What is amazing that in the case of Princess Diana, the three most significant days of her life ALL took place within a day of a SOLAR ECLIPSE! Her wedding day, the birth of her first child, and the day she died! And as I have mentioned before, even her NAME is a synchronicity- Diana is the name of the Roman Goddess of the moon. And eclipse takes place when the earth, moon, and sun are in alignment. In the case of a SOLAR eclipse, the MOON is between the sun and the earth, blocking the sun and casting a shadow on the surface of the earth. Stonehenge, Babylonia, Egypt -- each culture developed a unique approach to eclipses. But only the Babylonians discovered the long-range prediction cycle, the saros. An eclipse cycle can also be used to go backward in time. This technique has proven useful to historians in fixing exact dates of past events. Stonehenge was an ECLIPSE COMPUTER! Why were the ancient Druids so concerned about the timing of eclipses? Yes, they were superstitious, and believed eclipses to be a bad omen, linked with the DEATH of KINGS. Understanding the lunar calendar also helped to understand the universe and man's place in it, and to determine a schedule to plant and harvest crops. The ROYAL WEDDING OCCURRED less than 48 hours BEFORE a TOTAL SOLAR ECLIPSE! I have called that eclipse the "Millennium Eclipse" because it is the last total eclipse of the 20th century. There are NO TOTAL solar eclipses in the year 2000 at all (they are all partial). 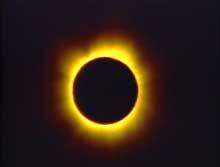 The next total eclipse, and the FIRST TOTAL ECLIPSE of the Third Millennium occurs on Jun 21 2001 ! That's right, you guessed it- on Prince William's 19th birthday! Will HE be seated on the throne by then? Or will Charles be King? 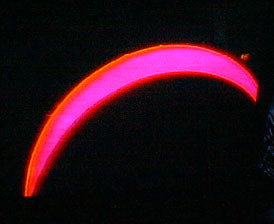 On June 21, 1982, there was a partial solar eclipse that was only visible in the South Atlantic, but it took place on the solstice, near the prime meridian which intersects Greenwich England, and was occurring during the period of the grand conjunction of planets that occurred in 1982, while Mars was between Jupiter and Saturn and all three planets were contained within 15 degrees around the ecliptic. Less than 48 hours AFTER the crash, a partial solar eclipse took place, visible in the South Pacific, Australia, and New Zealand. Don't think I am trying to deceive anyone about the Sep 1/2 issue. The time of MAXIMUM eclipse occurred at approximately 00 hours GMT- midnight in Greenwich, but local noon on the other side of the planet. So the eclipse began on Sep 1 and continued into Sep 2. Biography of Diana's life. Diana had her day in media court in November of 1995: on a BBC news show, Panorama, she soberly admitted that Charles' affair with Camilla had incited in her "rampant bulimia," that the Hewitt affair did in fact happen, and, furthermore, that she wouldn't "go quietly." A Total Solar Eclipse took place Oct 24 1995; two weeks later, a total lunar eclipse. 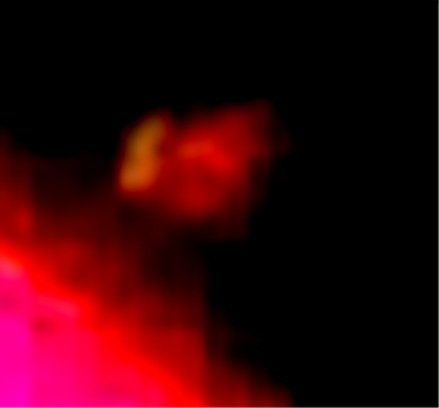 During those two weeks, Prime Minister Rabin was assassinated in Israel, and NASA released the pictures of the Eagle Nebula taken by the Hubble Space Telescope. I had forgotten that the BBC interview with Diana also occurred that month. We are in the midst of such an "ECLIPSE SEASON" now! In November 1995 I was reminded of the verse from the New Testament (Matthew 24: Lines 29-30). And then shall appear the sign of the Son of man in heaven: and then shall all the tribes of the earth mourn, and they shall see the Son of man coming in the clouds of heaven with power and great glory." In that month, we had a solar and lunar eclipse, the assassination of a world leader, the Israeli Prime Minister no less, and a funeral to which every nation sent representatives. There were also other "Signs in the Heavens." But it was not a complete fulfillment of the verse which says "and then shall all the tribes of the earth mourn." It was a precursor of events yet to come. This week we had Diana's death, a solar eclipse, and I JUST heard on the radio that Mother Teresa died today also! There are so many ironies-:similarities and differences. But in the sense that "all the tribes of the earth" will be in mourning at the same time- the outpouring of grief and sympathy for Diana in the UK and US is much more than anyone ever expected, and much more than there was for Rabin. Yes, they are very different situations and circumstances, I know. Yet all Anglicans, Protestants, and most of the English speaking western world regardless of religion was touched in some way by Diana. Now Mother Teresa, who was very old and sick- her death is not as shocking, but the mourning and tributes by Catholics will also be great. Mother Teresa has been called the world's only living saint, and is expected to be canonized; while in a sense, Diana after her death is being "canonized" by the same media that hounded her in life. I'm just a little nervous- what else will happen between now and the total lunar eclipse on Sep 16 (visible only in Asia, sorry)? They say these things "happen in threes." The whole western hemisphere is in mourning. If there is also the death of a significant person in Asia (Mother Teresa was in Calcutta India, but she is renowned more in the west) then I will be especially nervous. IMPORTANT JUNE 21 ECLIPSE DATA!! Last Wednesday, Mikiah offered more information on what will be happening during the Eclipse. Perhaps most important for all to know, is that the un-plugging will happen during the eclipse in your part of the world, local time. The Energy will make a trip around the Earth, and form a wave of un-plugging, and re-plugging for all that are/will use the Energy in a Loving manner. Last Month, Marie Trump channeled Nathan, a member of the Spiritual Council guiding Life's Pathway. Perhaps I wrote about that, I have been so busy this past month I truly don't know if I did or not! Anyway, he talked about how our thoughts form a thread of energy that goes out to gather energy before it comes back to us. Each of us send out threads of energy with our thoughts, and they intersect and form webbing around the Earth. Our thoughts cross other's thoughts, exchanging energy and gathering more. This goes out in an arc, like one half of an elongated figure eight or infinity sign(lemniscate). We are the center of that lemniscate and eventually, it will come back to us, energized and added unto by All of Creation! If that weren't enough, Mikiah added further information about how important it is to watch our thoughts! She explained that not only do our thoughts go out and touch others, but if we take an action against another, and that person tells a friend about it, and that friend tells someone about it, and because of what she heard she 'hurts' another, then we are responsible for the whole string of people's reactions and for the person that got hurt as a result of what I did originally! Now, all of that energy in on that arc that is coming back to me, added unto by All of Creation! Think about the enormity of all of this! I am not all that familiar with The Book of Revelations but I do recall the part about people wanting to hide and there being no place to hide, and the gnashing of teeth, and other forms of suffering. That is what came to mind when I heard that after the 21st of June, the Energy will be at a very high intensity, and will remain so from now on, and we will be reaping what we have sown! Very swiftly. Mikiah said there will be no doubt what we have sown, nor what the cause was, for the effect will be quite evident! We have been told to watch our thoughts, words and deeds now for the past couple of years. Mother Mary has been telling us to keep our words sweet. I know I have been much more aware of what I have been saying, doing, etc. But how often have I shared my 'woes' with others? Then they added energy to it, now I am responsible for the harm that caused to the person I was upset with! Wow! There is hope, for we still have between now and the 21st to transmute at least some of the energy we have sent out. First, you must truly be sorry for what you have done. Not only can't you fool Mother Nature, but All of Creation is aware of our thoughts, and the intention behind them! We cannot hide, nor can we wiggle our way out of it! Only Love can make a difference. Mikiah pointed out that the Book of Karma uses indelible ink, and we cannot erase what is written. It is the LAW of Cause and Effect. What we send out will come back to us. She said that we can reverse the energy sent out by re-creating it. If we have set something in motion that is less than you want it to be, set the opposite in motion. You must truly align all of your Being with it. She then gave an example which I based the one above on. We must remember, we are ONE, and all that we do affects the WHOLE. Like a pebble thrown into still water, it ripples outward until the energy is dissipated. If anger is involved, then the un-creation becomes more involved, because it magnifies the effect the Whole. If there is no anger involved in the ripple effect, then it is easier to reverse the action. Still, you must have the agreement of the Whole, in order for the energy to be changed! We have to bring all aspects back into balance to keep the energy from coming back to us. As I said, each person that I told about my 'woes' added to the energy. Now I must clear the Energy for each person that I told in order to bring it all back into balance. I asked what do we do if we don't remember what we have set into motion! Mikiah said that we must lovingly offer service to the person that we harmed, that too, causes a ripple effect to go out and touch the others that were involved. We have until June 21st to resolve some of the energies we have set into motion. She said if you have hurt someone who has died, then to do something loving for another in that person's name. And be sure to watch your thoughts and words and actions, not only between now and then, but from now on. We are being asked by All of Creation to prove to them, and ourselves, just how committed we are to making changes. We have a big responsibility! We are the leading edge, the wayshowers, the pioneers on the New Path. This has never been done before, and we are being asked to come up with new ways of doing things. We can no longer fall back on what has worked in the past, it won't work anymore! A Kryon Parable comes to mind, of the man who went down a road that he hadn't driven on because the bridge had been torn out. He just knew that he would come to that point and go to his death, yet, because he had been told by Spirit to go down that road, he did. When he got to that point, lo and behold, the bridge had been replaced by a new bridge, unbeknownst to him. Spirit knew that if he were willing to take the necessary steps, that he would be added unto, and all would be well. This Path is not for the weak of heart, we have to have FAITH, Fear Absent In The Heart, and step out boldly, like the Fool in the Tarot deck, blithely stepping off the cliff, into the unknown. We have to be strong and vigilant and willing to stay the course in order to bring forth the new onto the Earth, and to All of Creation. We will be creating The New Earth by our thoughts, words and deeds. We have been given a big responsiblity to go with the new power of co-creation. Are we willing to accept it? One goes hand in hand with the other, and if you and I do not do it, then who will? On a lighter note, yet just as important, seh told us that the Nature Spirits, the Gnomes, Elves and Fairies are quite busy these days, helping the Earth and all creatures, plants etc. to adjust to the changes in energy. She suggested that we begin now, to work with the Nature Spirits that work with our property. Each property has a Gnome in 'charge', each plant has a spirit caring for it, each animal, each tree. If you weren't aware before, now you are. She said that the Energy will cause vegetable and fruit plants to produce more leaves than fruit this year, and the growers will be harvesting much less than usual. It is not too late to grab a few tomato plants, etc. and grow a little of your own food! If you work with your Nature Spirits, they will help your plants adjust to the energy flows, and your plants will produce more fruit than the 'norm' this year. And they will help your animals, computers, and life in general to flow more easily through the unplugging. What will happen during the Solar Eclipse, is that all energy that was flowing through All of Creation will be established as a clearer energy flow after the un-plugging. All Energy we've been using will return to a point, the Core Energy for aligning all aspects of the Crystal that served in Atlantis. All Universes work with this Crystal. There will be a boosting of the crystal and the Energy will them move back outwards to All of Creation. Committment. How strongly are you committed? That is how much All of Creation will add unto what you put out, desire to manifest, etc. If you are doubtful, All of Creation will not lend all of their energy. If we don't know how to do something, ask, and wait, and it will be provided to you or a way to accomplish it will be provided! Ask and it will happen. Ask with clear, pure intent. All of Creation is asking "Are you willing to try? Are you willing to do?" You will be added unto in like manner. Mikiah said that during the times of the most chaos and confusion, doubt or hesitation, that's the moment to step forward and focus. We may think it is "too noisy, I can't think" Are you 'into noise so that you can't think?" During the times of the most confusion we have the opportunity for the clearest perception. Just Do It, know that you can do it! If you weren't capable, you wouldn't be in a position to do it! The more difficult it is to do, the more powerful it is! The more fear in your Being, the more Love that can be set into motion. The most powerful way to help the Whole is to dispel the Fear, and create Love. The Disney movie to be released just before the Solstice, Atlantis contains many Truths, she said. Again, working with Nature Spirits, she said we can accomplish the same wonders of growing as did the folks at FIndhorn! It is not the place, but the working with Nature that accomplished the growing of cabbages as big as basketballs. Try it, you may like it! Well, that is all for this time, Mother Mary speaks the 16th and 17th, and Nathan on the 20th, but not sure if I will be able to get anything much out in that short a time! Especially to those of you who live on the other side of the globe. It is already 'tomorrow' and I must get up early and get ready for a trip to Indianapolis to see my Aunt Marie. As always, should you have questions, feel free to ask, be aware it may take awhile to answer you. Today, after 3 days off the computer there were 74 messages, so be patient. ***BREATHE in and BREATHE out LIGHT and LOVE daily. (C) Copyright by Carol Willis, 2001. All rights reserved. Permission is granted to forward this article complete to personal friends, but please request permission before posting to lists, websites, bulletin boards, periodicals, etc. Remember that the astrological "eclipse window" begins about a week before an eclipse, so we're entering the first solar eclipse window at this writing. 1:58 pm CED. The degree is 0 Cancer. 0 degrees Cancer has a Cancer dwad* beneath it, making this an emotionally touchy solar eclipse, with many family, nurturing, home, housing, vulnerability, nutrition, eating and food issues. In a solar eclipse, the Sun is eclipsed or obscured briefly by the Moon, symbolizing a moment in time where the normal rationality and order in our world is superseded by the non-rational, emotional, psychic, imaginative, or even something a bit wild and chaotic. Solar eclipses have been considered "fateful," definitely NOT business as usual. In a way, eclipses are like Mardi Gras -- anything goes, and probably will. The effects of a solar eclipse are strongest the week before, the day of the eclipse itself, and a week following, tapering off sharply over the next 6 months. Some astrologers say the effects of an eclipse can last up to a year. Certainly there are echoes and reminders of life-changing events that happened during an eclipse, whose impact reverberates over the long term. We have a multiple opposition in Gemini-Sagittarius occuring at the same time as this solar eclipse. The effects of the multiple opposition (diagrammed below) are mostly likely to work out in very difficult interpersonal exchanges, relationships, ally and enemy relations between nations, and health issues (especially as related to interpersonal relations). Failure to nurture, care for others and/or communicate well have larger repercussions now. Much of this configuration will remain in effect for all practical purposes until Mars moves into Capricorn on September 9. It would be best to refrain from combat where possible and defer any major relationship decisions until after September 9. The summer of 2001 is not the most auspicious time to be getting married, to say the least! REMEMBER: Please practice eclipse safety and DO NOT look directly at a solar eclipse! The upcoming lunar eclipse of July 5, 2001 is at 13 degrees 39 minutes Cancer/Capricorn, at 8:04 am PDT, 11:04 am EDT, 5:04 am AHT, 4:04 pm GMD, and 5:04 pm CED. Around the time of a lunar eclipse, consciousness tends to be more dreamy, like being in Aboriginal "dreamtime" -- a bit spacy, open to impressions, creative. Watch the images and dreams that surface from your heart, as these are your heart and soul's desires for the times to come. Purify your heart, check motivations and keep them pure, root out weeds from your inner and actual garden, put simple inspirational influences around you to keep your attention simply focused and high-minded. Lunar eclipses are a great time for spiritual practices and clearing up old traumas (as the psyche is very loose and free now). Note: The 4th of July, American Indpendence Day holiday, arrives the day before the lunar eclipse. As the lunar eclipse always falls on a full moon, and the day before the full moon tends to be a tense time as situations are coming to a head for resolution at and soon after the full moon, this year's 4th of July falls within the "eclipse window" so is unusual. With all of the oppositions concurrent with the lunar eclipse, stay far away from trouble and troublemakers on July 4. Relax and take it easy. Don't get into arguments or fights. Find something to like about everyone, no matter how trivial. Appreciation is the name of the game. Married people especially: avoid fireworks, guns, weapons, fighting, antagonizing each other (Juno opposite Mars). Note 2: President Bush is in a vedic Mars cycle in roughly the early half of July (using my combination of Lahiri ayanamsha, 360 day year, and parallax Moon), and the Jupiter/Kronos conjunction also warns him as a world leader to be especially cautious and not be complacent at this time regarding his personal safety and security. As an interesting coincidence, Bush's solar return this year falls on July 5, the day of the lunar eclipse. The Moon is in Capricorn for this lunar eclipse, bringing themes of security, home, completion of career or business projects that have been hanging, wrapping up business deals, balancing career/family, making sure everyone in your circle is securely provided for. Political connections could be timely or serendipitious now for ethical, visionary persons. Dream up and attend to schedules and timelines (Saturn, ruler of Capricorn). Mock up [imaginatively create for your future] being on-time or early. Mock up how you want to get better organized - what do you want your space or environment to look like? Mock up cleaning your workspace, making lists and crossing off items as you do them. FEEL a sense of accomplishment. Build small success on success, and keep going with that. Don't set yourself up for failure, look at what helps you succeed, what works, what doesn't -- that information is readily available to you now. Dream and mock up your next career and business directions around this lunar eclipse, and write down your impressions or ideas as they come to you to begin grounding them. Who will feel these eclipses most? Persons with planets or key astrological points around 0 degrees of Cancer/Capricorn, and 13 degrees of Cancer/Capricorn. Everyone is likely to notice the houses, or what I call "areas of human concern," that are "lit up" by the eclipses in their own natal charts. For more information, have an eclipse reading! Find out what the eclipses and multiple oppositions are lighting up in your chart! This is also a good time to ask your questions about other issues or concerns going on in your life, and we can also look at the Pluto/Mars/Chiron lineup in Sagittarius, and Gemini-Sag oppositions. See my article on "Dwads," which are underlying influences to the degrees of the signs. Thanks to Ed and Barbara....here is a long list of JUNE 21 solstice events COMING UP. Please do send love and appreciation to our Cetacean brothers and sisters in the ocean...the whales and dophins...placing a white light of protection lovingly around them all. Hello, everyone, this is Barbara Wolf. Next week is the Solstice, a moment when great energy comes to earth. Will you use it to send positive energy to our earth and to humanity? Will you send some to our brothers and sisters who live in the ocean, the whales and the dolphin? Many of you have been emailing to say you are beginning to use the great broadcasting station in Alaska we have renamed HARP to send Love to humanity. I have made a page for some of your comments. At the Solstice, when the power comes in, this is a wonderful time to use the broadcasting station. If you open Jim Fournier's web site, http://www.gaiamind.org, and scroll down a bit, you will find an amazing picture of the galactic alignment with the solar eclipse at the Solstice. He begins a lengthy explanation with these words, "The solar eclipse on the Summer Solstice on June 21, 2001 is once again like the sweep second hand aligning with the minute and hour hand at midnight of a twenty six thousand year cycle. This solstice is one of three moments which most precisely represent the exact fold point of the transition in our time." Ken Kalb's, web page, http://www.luckystarz.com/solstice_eclipse.html, has an eclipse explanation, plus an excellent global map showing the location of the total eclipse. At the Solstice, there are many events world wide, some listed below. Of particular note, Chief Arvol Looking Horse calls for WORLD PEACE AND PRAYER DAY 2001, and he invites you to participate with him in your own way. The Solstice is also called the Sixth Annual WORLD EARTH HEALING DAY. On the Yankton Sioux Reservaion in South Dakota, there will be the Rainbow Sundance. Jean Carfantan of France asks you to join him in a Meditation in Motion. Whatever way you wish to participate at the Solstice, alone or in groups, please know that you are helping. Listing of some SOLSTICE events in NORTH AMERICA. June 20, Portland, OREGON, Healing Waters and Sacred Spaces, 2426 N.E. Broadway. SUMMER SOLSTICE ECLIPSE: Channeled Transmission Event with Metatron and The Mighty Elohim, hosted by Isaac George. Contact: HWSS@livingsacred.com; Tel: 503-528-1430. June 20, 6:30 p.m., SOLSTICE, Waianae, Oahu, HAWAII, Kahumana Organic Farm and Community. Sophia Communion Summer Solstice Service. Contact: sophia@hawaii.rr.com; Tel: 696-7997. Note from Barbara: June 19, there will be a benefit concert. Also, the Solstice events will continue until June 23. Note from Barbara: Pipestone is my location at the Solstice. June 21, Sixth Annual WORLD EARTH HEALING DAY, day of the SOLSTICE and a Total Solar Eclipse visible in Africa. You are asked to expand your hearts and minds, and to connect with others to help bring peace and healing to our world. World Earth Healing Day is a clarion call to help us remember that all life is one family, and that the ties that bind that family are made from the unlimited love that is waiting to be realised in our hearts. Simultaneous worldwide meditations will take place at 7.30am GMT (8.30 am in the UK), for the moment of the Solstice, which is exactly at 7.38 am; 11.50 am GMT (12.50 pm in the UK), during a Solar Eclipse; and 7 pm GMT (8 pm in the UK). Each meditation linkup will last for at least 20 minutes and will consist of clear and focused positive thought. June 21, Summer SOLSTICE. 8 p.m., Avebury, ENGLAND. World-Wide Healing Day. Gathering at the ancient stone circles to join in meditation and prayer with others at sacred sites world wide in order to create a Rainbow Bridge of love, light, and healing. Contact: Justina Pettifer, justina@zeronet.co.uk; Tel: 0118 950 7802 Life Times (Chris) or Tel: 01672-51 50 51 The Marlborough Natural Health Centre (Justina). Note from Justina: If you have a spare moment and can't make Avebury, try linking in any time from dawn to sunset wherever you are around the world. 3.12 pm local time (in England) is when Jude begins this wave meditation at the Solar Eclipse in South Africa and the wave ends at Avebury approx 9 pm. 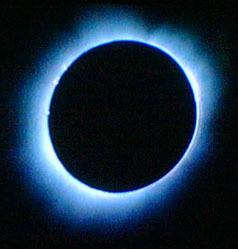 http://www.globalmeditations.com/june21eclipse.htm has information, plus a letter written by James Twyman in South Africa. June 23, 7:00 - 9:00 pm. Aina Haina, Oahu, HAWAII, Calvary-by-the-Sea Lutheran Church, 5339 Kalanianaole Highway. SACRED SOUNDS and KAJZENDO, Summer SOLSTICE Ceremony. Celebration of music and chant, sound healing and trance dance, combining the crystal bowls, didjeridoos, flutes. harps and other traditional instruments of Sacred Sounds with modern sounds of Kajzendo. Contact: Dan Furst, hermes3@hawaii.rr.com; Tel: 386-3311. All times are in EDT. Please add 4 hours for times in GMT. Two big shifts occur today. The summer solstice occurs at 4:39 AM and a total solar Eclipse occurs at 7:58 AM. As the Moon enters Cancer at 7:41 AM, we prepare for a shift in energies from airy Gemini to the water element. The solstice urges us to explore the more mysterious realm of the Divine Feminine. A total solar Eclipse is taking place on the first solstice of the new millennium. On Thursday, 2001 June 21st at 7:58 am EDT, 11:58 AM GMT, a Total Solar Eclipse was visible within a narrow band crossing the Southern Hemisphere beginning in the South Atlantic Ocean. This portent of the shape of things to come crosses Angola, Zambia, Zimbabwe, Mozambique and Madagascar before ending in the Indian Ocean at sunset. In these areas there are likely to be external events which trigger a change in attitude and ultimately a change in consciousness. In the Northern Hemisphere, where the Eclipse is not visible, We are likely to trigger external changes by initiating changes in our consciousness first. The duration of the eclipse is 4 minutes and 58 seconds and this means that the Eclipse will have an effect for several years to come and there will be resonance for decades to come. These change will become permanent and will form the foundation stones of the coming Era of Science and Enlightenment. The Solstice, one of the four powerful "cardinal points" of the zodiac occurs at 3:39 AM EDT, 7:39 AM GMT. For a Solar Eclipse to occur within 10 minutes of arc of the Solstice point is a rare occurrence and has not happened during this current Saros Eclipse Cycle of over 1000 years. We are leaving behind an old cycle and are standing on the threshold of a new one. Solar Eclipses recur in the same sign every 19 years. The last one was 29 degrees Gemini, a critical degree for communication, conflict resolution and harmonisation of opposites. On a global level, we are learning that there must be a fairer distribution of wealth, resources and opportunities between the nations of the wealthy northern Hemisphere and the nations of the poorer southern Hemisphere in order to achieve planetary balance. We begin a new cycle in the feminine, maternal sign of Cancer conjoined the North node. Our relationship to the infinite is that of the Divine Infant, ever playful, young, spontaneous, creative and intuitive. We are leaning to release with compassion our old rigid linear, selfish, exclusive approach to life and are embracing the spontaneous joy of the eternal present. The Sabian Symbol for 1 degree Cancer is A furled and unfurled flag displayed from a vessel. The keyword is adaptability. Marc Edmund Jones, Sabian Symbols in Astrology. We are preparing for a change of allegiance from the old outworn paradigm of territorial conquest, the hoarding of resources and the rule of elites to the new paradigm of Unity, spirituality and world democracy. The Eclipse occurs with Jupiter, Chronos and Mercury conjoined in Gemini. Recurring events of infinity and the times of beginnings and endings bring us to the awareness of the cyclical nature of time. Time passes during sleep in thought-forms, and when we awake in the morning, the hours seem to have gone by rapidly. Astronauts experience yet another dimension of time when they orbit the Earth repeatedly and then return to the ground. Jupiter and retrograde Mercury oppose Mars-Chiron and there are links to Galactic Centre. There is strong resonance with multidimensional realities. We are allowed to experience the presence of spirit. We are becoming aware of the multidimensional nature of our universe and our connection with it. This holographic connection brings us into intimate connection with stars, planets and rays as well as the kingdoms of nature on Earth. We are leaving behind our limiting perspectives and becoming aware of the Galactic energy field. The tongues of cosmic fire pierce the physical-etheric sheath, spirtualising human evolution and bringing us into the galactic connection. The heart centre in each of us opens up as we embark on the process of mass ascension into spiritual consciousness. We are becoming ensouled. Chiron in Sagittarius is building the bridge between the Soul and the personality. Initiation manifests in the form of the rearranging our electrical, neurological circuits. There is no such thing as fate or determinism as Saturnian linear time is pierced by Chiron's spherical time. This is the spiralling of experience, the leap of total creativity which affirms all possibilities in the Unified Field. Chiron rules the process of complete letting go of old forms so that a new birth can occur. We are learning to trust and to go forward even when we aren't quite sure where we are heading. It is time to embrace life's adventure and have faith in our internal guidance. The Sun parallels the fixed star Hamal. To follow our own Path This aspect is urging us to feel the presence of spirit and follow our inner guidance. Each of us has our own Path to tread on the sacred journey Home. The Sun, Moon, Mercury, Earth, Vulcan and the North Node are making midpoint alignments and other links with Galactic Centre. Mercury opposes Ras Al Hague. The desire to heal a wound. Mental and emotional attitudes are coming up now to be healed so that we can be more receptive to the cosmic influences and our destiny. We are letting go of the limitation and emotional damage that we have sustained and has held us back for so long. The triggering situations during this new cycle provide an opportunity for us to cooperate with each other to achieve personal and relationship harmony. As we learn to process our emotions through emotional depth-work, we are beginning to radically accelerate our evolutionary unfoldment. Through habitual, limiting perception, thought and behaviours, we constantly trigger and destabilise ourselves. We now have the emotional processing tools available to transmute our wounded emotions and mental attitudes into more inclusive, heart centred feelings of love and compassion(see Trauma Clearing or email for the information) . Mars is exactly opposed to Hades. In times of great need or when we become triggered by past trauma, we often get help through our dreams. Our energies are activated during sleep through dreams which show the way out of difficulties or bring up important questions or mysteries in our lives. The triggering effect causes the infantile 'acting out' of past or childhood trauma and the projecting our actions into the present time frame. This all too common occurence can be healed in a safe, non-threatening way through Trauma Clearing techniques. We are learning to embrace the unfamiliar, bring together the abandoned and the misunderstood and rejoice in the wisdom of uncertainty. Embracing and acknowledging our shadow side brings up the mysterious and interwoven processes of integration and healing. Venus conjoins the fixed star Menkar by longitude and is inconjunct Pluto. Embracing our shadow side means acknowledging all our unconscious, hidden agendas that sabotage and undermine our relationships. These unexpressed, damaged feelings can be lovingly acknowledged and transmuted through emotional depth-work. Uranus trines Jupiter and sextiles Chiron. The function of Uranus and the Seventh Ray are deeply involved with the fusion of Spirit and matter in order to produce the forms of life that properly express the Will and the Plan. When these energies are combined with those of Jupiter they, channel the conditions needed for the coming new era. There is a deep thirst for new knowledge and we desire to share our wisdom through World Service. The solstice, which occurred 4 hours earlier in 0 degrees Cancer, is an omen of power and good fortune for this Eclipse. This Eclipse makes us especially open to the Cancerian influence. We are receiving cosmic energy that is guiding us to change the way we approach matters related to the home, the environment, passion and compassion. We are learning to extend our kindness and warmth to those who need our care. We are urged to integrate the Divine Feminine into our being. Humanity is becoming more and more involved in care, feeding, security, nurturing, and healing. Home, family, and environment are becoming our new priorities. We are seeking emotional balance, peace of mind and the joy of service. Emotional reaction is eventually transmuted into true and inclusive love. As we learn to respond more sensitively to our circumstances, our Soul awakens to God consciousness. Once awakening desire is transmuted into higher aspiration, we truly begin conscious participation in the drama of life. We are beginning to realise the joy of participation in World Service and are learning to work together in group formation, becoming group conscious. There is a shift in emphasis to the Second Ray of Love Wisdom. This Second Ray energy is potently focused through Gemini via the planet Jupiter. We are beginning a long cycle of development in which the conflict and interplay between dualities is stabilised on the mental level. As more and more of us become involved in World Service, we are helping to bring about a shift from emphasis on external conflict to the resolution of internal conflict. Humanity is learning to resolve the war within the self. This is the root cause of all external conflict and this will cause the Fourth Kingdom in nature(Human) to merge with the Fifth Kingdom(Angelic). This is going to entirely change our world civilisation. The Human family is beginning to recognise the Glory of the One. We are coming home to Spirit. During the time of the eclipse, it is a good idea to calm the mind in meditation in order to become attuned and bring ourselves into alignment. We have the chance to transmute our limiting thoughts, fears and ancient agreements. These limiting attitudes have the effect of blocking the life force and the feeling of aliveness. We needed to do this so that we can learn what it is like to be disconnected, disoriented and numbed out. We are beginning a new cycle, the return journey home. As our consciousness changes, the Light is intensified and we collectively draw many others who are destined to follow. 1. Is time just a system of events temporally related? Time is not just a system of events temporally related. Within the boundaries of Earth's spatial reality, time exists as a temporal construction of reality, as an externally evolving record of this spatial reality, as a reference to the standpoint of present, as a fourth-dimensional measure of space and as a relative measure of duration. It is stated that 'Time' is 'Change'. Everything our senses perceive as reality is perceived through sense impressions and these impressions are given meaning through the process of temporal conjunctions defining change. Hence, time is a temporal construction of the mind. However, temporal constructions are dependent upon light to formulate impressions and boundaries of light define the boundaries within which impressions of reality are formulated. Hence, what is perceived of as reality or change, as time, is restricted by these boundaries of light. While time exists as a temporal construction of spatial reality relative only to possibilities within these light cones, time is also perceived as a measure of duration in relation to change and variations in light, the perception of change formulating variations in personal time across the planet. These same light cone boundaries set the limits of understanding time within the Universe, for space-time can only be measured in relation to light in this region of the Universe. Hence due to the boundaries set by light cones, one cannot have an ultimate understanding of the entire Universe, nor a Universal understanding of time. While some regions of the Universe appear as timeless, as in empty space, other regions may be frozen within time. Within the boundaries of Earth's light cones, possibilities are presented for the processing of reality. Processes are the occurrence of temporal conjunction of presented possibilities, however, once past, the processes are defined as events. While the timing of events holds a relationship with temporal process, time also gives reference to one's subjective standpoint within perceived reality, one's standpoint in relation to these events, these events given distinct positions with the relative subjective understanding of past, present, future, and earlier, later. However, the perception of time also allows one to formulate and acknowledge a history of external events, a chain of events defining a history of time within the boundaries of the light cones, which exists, distinct from subjective temporal construction. Of course it could be argued that once past, these events do not exist and as such cannot represent change, a flow or passage of time. However, these events do exist in the 'now', as an evolving record of spatial reality within these light cones and as a series of references to present processes of change. Past events can be seen to flow in present consciousness with recollection and while holding a fixed position within relative time, they can still be seen to flow within the passage of time, as past events become more past and present processes become past events. While events, formulated from temporally conjoined impressions, as a series of processes of change define time, time itself has become an entity in it's own right, defining a history, as in an objective record of events within the light cone boundaries of this region of spatial reality. And this history of time continues to flow within these boundaries. Each event holds it's own position on the time line within this spatial reality, which when past will not occur again. Hence these events are fixed within this time, while processes occurring now will become events, as will possible processes in the future. Each event has it's own history and holds a significant position of order within a series of events within this time frame, as a collective history of cause and effect which gives recognition to the process of evolution within the time flow of this region of the Universe. As such each event has it's own time within this spatial reality, the collective gathering of constituent parts/events is seen as an external flow of time, which not only gives understanding of the past, but also of the present. However, just as the light cones set boundaries for created spatial reality, this external flow, as a series of events within time, is also held within the boundaries of Earth's light cones. Time is neither separate nor independent of space, yet time holds it's own relative position within each independent region of the Universe, each region's boundaries set within light cones. Within the boundaries of Earth's spatial reality, time exists as a temporal construction of reality, as an externally evolving record of this spatial reality and as a reference to the relative standpoint of present. However, time is also perceived as a measure of spatial reality ie length, breadth, depth and time, time becoming the fourth dimension within spatial reality, space measured by time in relation to the constant speed of light. Time alone could not measure distance, for while observers could agree on the speed of light, they could not necessarily agree on the personal clock time, taken for the duration of a journey. To overcome the uncertainty principle, light, speed, time and space must be inter-related to give understanding, however, given the boundaries of light, only this region of the Universe could be measured. Einsteins Theory of Relativity proclaims that regardless of the movement, as in speed, of the observer, light always travels at the same speed. Radio waves also travel with the constant speed of light hence a measure of half the time taken for a radio waves echo gives a measure of distance within space according to the speed of light. Light cones set the limit of the yardstick in measuring the spatial reality of the Universe, just as in the measure of time. Moreover, what is perceived of as possibilities within the boundaries of these light cones has come from a single point in space, a single point in time. Given the ever increasing spread of light waves and the time taken for this light of possible reality to reach the Earth, what is perceived of as future possibilities for created reality, is already in the ancient past for another region of the Universe. Time is a system of events temporally related; an externally evolving record of spatial reality distinct from temporal construction; a flowing chain of reference to the past, present and future and an inter-related forth dimensional measure of space. However, our understanding of time is only relative to this region of the Universe. 2. Is the passage of time a myth or a metaphor? Time is change and time is considered as a flow of change as in events perceived as coming from the future, into the present and receding into the past. However, this is merely a metaphor, for neither an event, nor time has genuine movement. Time is a temporal construction, which processes and conjoins sense impressions to form a chain of events and the passing of these events perceived as the passing of time. It is only the conscious mind which is seen to flow within it's own construction of reality. It is one's own physical being which changes, grows old and consciousness positions subjective events in relation to this physical change. The rational theory of time gives events a duration, where a duration is relative to a unit of time and as such time is relative to the speed of temporal construction of events as processes. Therefore, time is subjectively relative to a flow in consciousness. However, change as in time is merely an illusion of the mind for all things exist now, whether as possibilities in the future or as events in the past. There are temporal properties of being present, being past or being future, where properties of future being are perceived of as having something which came before. Temporal properties hold both processes and intervals ie. events as instances of impressions in relation to other events or instances. Hence properties have both an event and an instant or interval created through temporal construction. It has been suggested, that a sequence of events, as in the sum total of events, must also represent a sum total of instances and intervals which defines a flow of time. However, these properties in themselves have no duration, no flow within a passage referred to as time. Events occupy an instant, hence, there are events as instances, but without the events, instances do not exist. The concept of a flow or passage of time through temporal construction is understood in relation to cause and effect. It is suggested that an event is the result of a cause, hence causes are events or processes and each successively conjoined process forms a chain of events as continual causes and effects. However, even the sense of cause and effect is a conscious proposition and judgement. A history of time, as in an historical record of temporally constructed and processed events can be said to exist distinct from consciousness. However, these events are fixed within time and have no flow or movement of their own. The only manner in which a history of time is seen to flow is within consciousness from a standpoint of present in relation to the past. Temporal processes define change and should processes speed up, time would appear to move slower. Hence, time and duration do not exist other than within the mind and the passage or flow of time merely a metaphor for conscious processing. 6-21-2001 - I've had some strange dreams I've never experienced before that I can remember. It was like looking at a square framed screen, while something was being downloaded into my head that was a dream. There was no action, just like the blank screen and I KNEW that it meant the letter C.
I had the C dreams on the 20th. On the 21st, I had more dreams just the same except it meant the letter D.
It wasn't until I talked with my friend Michelle and she reminded me that C and D were gamma Delta. So, I immediately went to look that up. This asterism is divided conveniently by the ecliptic and is useful because eclipses can be accurately observed here. described in the Hsing Ching as having a small cloud formation not unlike that found on willow catkins. The constellation is thought to preside over departed spirits, those killed in battle and as the guardian spirit of buried treasures or hidden wealth. More properly translated it means aura of the willow which happens to be #Hsui24 - Liu, "The Willow". Where willow was employed in sacrificial rites, especially those connected with the Sun - the pine (a symbol of longevity) was often a useful substitute. The New Testament is written in Greek. The Greeks had no separate symbols for expressing numbers, corresponding to our Arabic figures, but used instead the letters of their alphabet: just as the Hebrews, in whose tongue the Old Testament is written, made use for the same purpose of theirs. Accordingly, the 24 Greek letters stand for the following numbers: 1, 2, 3, 4, 5, 6, 7, 8, 9, 10, 20, 30, 40, 50, 60, 70, 80, 90, 100, 200, 300, 400, 500, 600, 700, 800, 900. Every Greek word is thus a sum in arithmetic obtained by adding the numbers for which its letters stand, or their numeric values. Now the vocabulary to the entire genealogy has 72 words. If we write its numeric value over each of these 72 words and add them, we get for their sum 42,364, or 6,052 sevens, distributed into the following alphabetical groups only: alpha - beta have 9,821 or 1,403 sevens; gamma - delta, 1,904 or 272 sevens; epsilon - stigma, 3,703 or 529 sevens; theta - rho, 19,264 or 2,752 sevens; sigma - chi, 7,672 or 1,096 sevens. But the numeric value of the 10 letters used for making these groups is 931 or 7 x 7 x 19, a multiple not only of seven but of seven sevens. LIMA, Peru (Reuters) - A major earthquake measuring magnitude 7.9 struck the Pacific coast of Peru on Saturday, killing at least two people and injuring many more, officials said. Peruvian officials put the strength of the quake at six on the Richter scale but the U.S. Geological Survey (news - web sites) reported that it measured magnitude 7.9. The quake, which struck about 375 miles southeast of Lima at 4:33 p.m. EDT, caused widespread damage in the city of Arequipa, a civil defense spokesman said. ``I have just been informed that two children were killed when a wall fell,'' another civil defense official, whose name was not given, told Canal N cable television. Some 45 people were reported injured in Arequipa. LIMA, Peru (AP) - A powerful earthquake shook southern Peru and Chile Saturday, killing at least 12 people and toppling dozens of homes, Peru's Geophysical Institute said. Local radio station Radioprogramas reported that 35 people had died in the nearby city of Moquegua, but those deaths could not be immediately confirmed. ``For the love of God, please send help,'' a woman could be heard screaming while a radio reporter described the destruction in the streets in Moquegua. At least three people were injured in northern Chile. The quake was also felt in Bolivia. There were conflicting reports on the quake's magnitude. The U.S. Geological Survey (news - web sites)'s National Earthquake Information Center in Golden, Colo., said a 7.9 magnitude quake was registered off the coast of Peru in the Pacific Ocean, 120 miles west of Arequipa. Peru's Geophysical Institute put the quake's magnitude at 6. Arequipa is located 465 miles southeast of the capital, Lima. In the darkness of the night, rescuers searched the rubble for survivors. Telephone and electricity service were initially knocked out in Arequipa and Moquegua. Images broadcast by Canal N television from Arequipa showed parts of a historic building crumbled in the central square. Civil Defense Chief Juan Luis Podesta told Radioprogramas that the quake had destroyed dozens of homes in Arequipa and the southern city of Tacna, near the border with Chile. In Lima, residents rushed from their homes when the quake struck and rattled the city for more than a minute. At least five aftershocks were reported. In Chile the most affected city was Arica, 1,250 miles north of Santiago, the capital. The Emergency Office spokeswoman, Carmen Fernandez, said some houses sustained some damage there, and electricity and telephone services were interrupted. Arica Major Carlos Valcarce said three people were injured, including a woman who suffered a broken leg when part of collapsing wall fell onto her. Regional governor Sonia Castillo said ``there are no indications'' that a tsunami may occur after the earthquake. Peru is intermittently shaken by earthquakes, and was battered by a 7.7 magnitude temblor in May 31, 1970, that killed approximately 70,000 people. On November 12, 1996, 17 people were killed and some 1,500 injured in a 7.7 magnitude quake that struck Nazca. On May 30, 1990, 137 people were killed in a 6.3 magnitude quake in northern Peru. A quake with a magnitude of 7 or more is capable of heavy and widespread damage.